To find useful active Facebook groups, you need patience and some time to invest in the search. 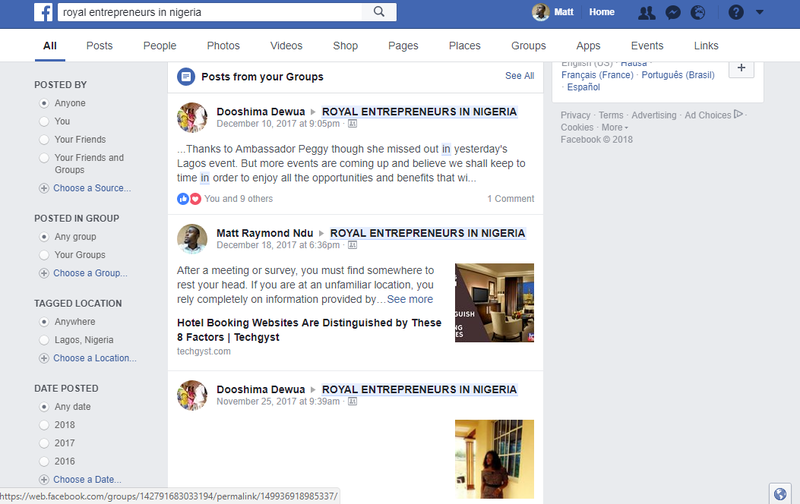 The Process to find useful active Facebook groups has been made easy with this article you are about to read. 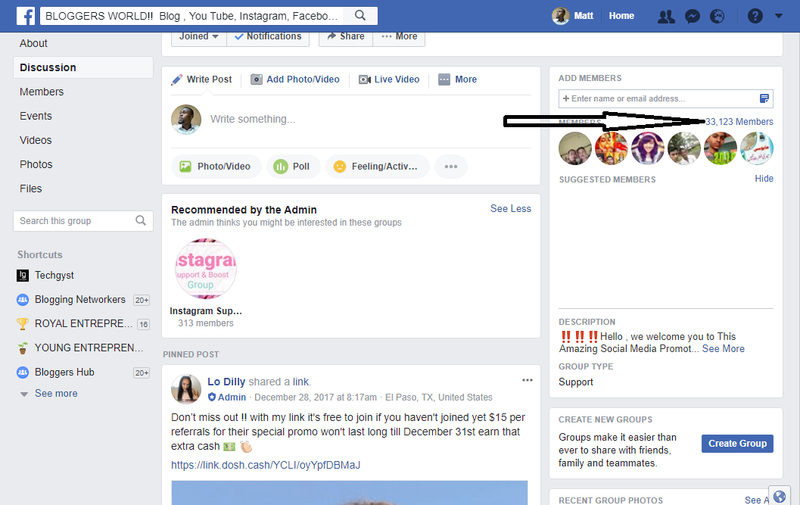 In fact, in five or ten minutes, you will become a Facebook group search star. When you find useful active Facebook groups, your conversion on Facebook every second will surprise you. Every single Facebook notification will become a hot cake you don’t want to miss. You in fact become addicted to Facebook because of the useful active Facebook groups you’ve joined. Truth is, finding useful active Facebook groups to join is easy. Apart from patience and time required, it requires you apply some tactics. These tactics will ensure you spend a relatively lesser time to make a huge positive discovery. 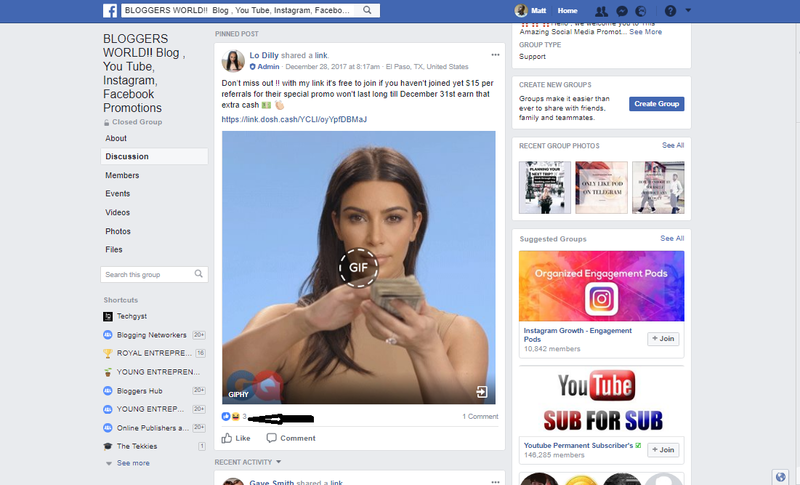 In few minutes, you will be equipped with the techniques and tactics for finding useful active Facebook groups. To find useful active Facebook groups, do these; after reading, you should leave useless groups and save yourself some crap. 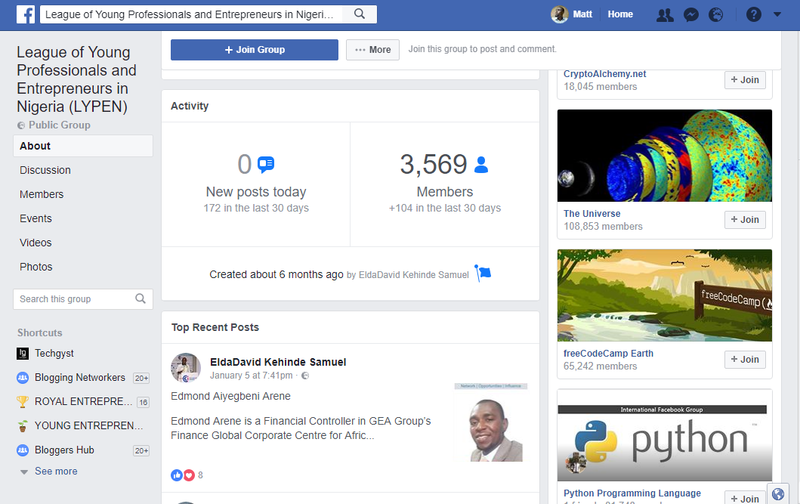 The first step to find useful active Facebook groups is to search for groups based on your niche. Every information you get on groups that are not your niche will be useless, since they are not your interest. This said, if you are a photographer, you should search for groups where topics on photography are discussed. In these groups, you will relate easily with discussions, make contributions, and share your experience with like-minded people. Most importantly, when you have challenges, you can seek advice from everyone in the group and get reasonable responses. The same goes for other industries. 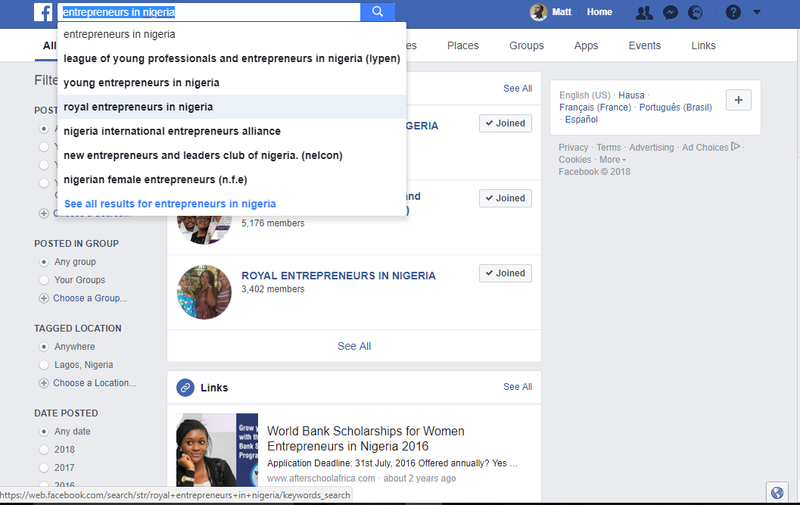 Apart from running a direct search, since you have carefully added friends on Facebook based on your interest, group suggestions from Facebook will be streamlined. While you search for groups on Facebook, Facebook automatically suggest groups based on groups your friends joined. When you join such groups, your initial engagement will come from friends. Your friends’ engagement will encourage others in the group to engage with your posts. Since you have niched down, you should also put into consideration your country or choice location of dominance. The reason for this is, in the future, there might be need to close deals physically. In this situation, funds for flight and time might be a constraint. If you must join groups with many foreigners, prepare to battle this challenge. Now that you have found a seemingly interesting group, you should check that group members do not spam. A good group would have group admins who ensure people comply with the rules of the group. Things you should look out for. Read the group rules, and understand it. Ensure posts are interesting by reading them. Check to ensure posts are interesting. For open groups, you have option to read some posts and determine if they are interesting, before you hit the join button. For closed groups you must join and be approved before you can read posts. Anyway, don’t feel bad when you leave the group after reading few boring posts, it simply isn’t what you want. The purpose of joining a group is to network with as many people as possible. Facebook groups help you eliminate your desertion. This said, you should look for groups with a lot of followers. There is no recommended amount of members, but a group with a thousand members who are active is just alright. In fact, active 1,000-member group is better than those with 15,000 members and just 100 people engaging. Remember, you can be in 100 groups with 1,000 active members at once. As earlier stated, there’s no recommended amount. The fourth step on how to find useful active Facebook groups is to check level of engagement. A group with 10 members who all engage on every post is better than a group with 1,000 members and just 10 engaging. You should be sure to join only groups with active members. This factor cannot be over emphasised. If you find yourself in a group of snubs, your posts will just be like a drop of oil in a bowl of water. No mix, nothing. What have scientists said about experiments? There’s no harm in trying. Thus, our fifth step on how to find useful active Facebook groups is to experiment. Run a test, run few others, change your writing style, graphics and others. Because the group has stayed for quite some time, its members are familiar with a particular style of writing. You should copy other people’s tone, update your posts before posting. Give it some time, say 12 hours. Also, drop a post that has given you the most engagement on other Facebook groups. The purpose of this is to determine if the new group is dead. See an example of a post we tested with. We latter tried with this one. Remember, if the group is not giving you your desired result, leave. Nothing lost, nothing gained. The longer you stay, the more useless notifications you get, and the more your frustration. Follow your instinct. These tactics can be tweaked; the figures, the steps and all. Play with things. Who knows, you could be on your way to a discovery. No doubt, these steps to find useful active Facebook will help you convert more than ever on Facebook.